In high school I was already a broadly oriented person and liked both engineering as well as economics. Therefore, I studied mechanical engineering during my bachelor’s period where I broadened my knowledge with half a year of economics and business economics during the minor. Furthermore, thermal engineering and the energy transition interested me greatly. The SET master gave me the perfect opportunity to combine these disciplines, also being the reason why I ultimately chose it. During the first year, beside the specific SET courses, I therefore further specialized myself by following several financial engineering courses as well as cost management and engineering, where cost management is practically applied in engineering projects. Personally, I believe it is important to combine both economics and engineering together with the energy transition. While if both conditions are not met, a feasible project will be quite hard to achieve. 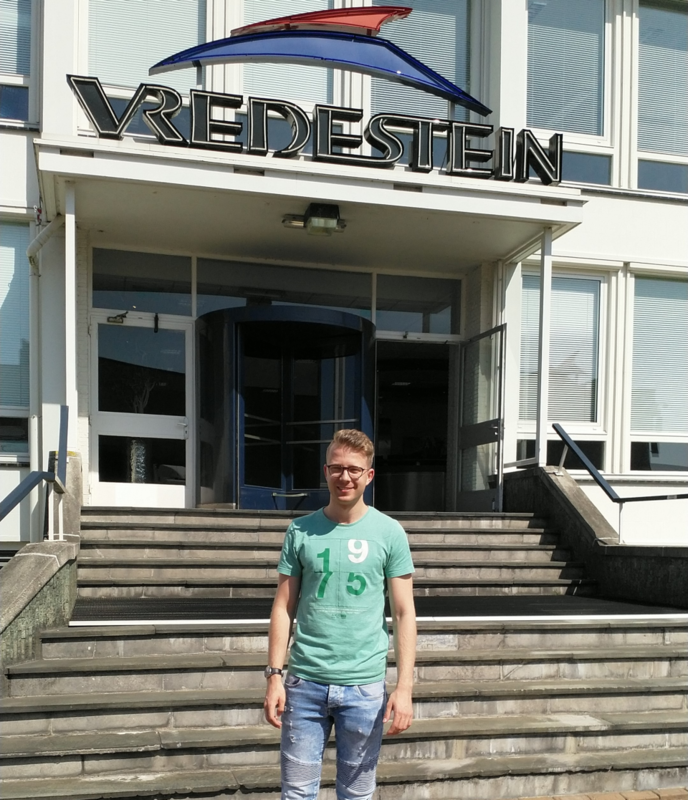 I'm doing my master thesis work externally at the Apollo Vredestein plant in Enschede, which is a manufacturer of tyres. The topic of my master thesis is if it is possible to increase Apollo Vredestein’s sustainability by replacing natural gas based steam production by biomass based steam production using a corporate biomass supply chain. The technical, economical and societal aspect are considered during the thesis because these kinds of project’s must meet technical process requirements, require financial feasibility and must not create local opposition while potentially a biomass plant could be installed onsite. Furthermore, local biomass requires less transport, generally increasing sustainability. Presently, it is expected that fossil fuel prices will continue to increase, making biomass a more attractive option. In the long term this could potentially create availability risks which could be (partially) absorbed by a corporate biomass supply chain. After I finish my study I am planning to work in the Netherlands where I want to contribute my part in the energy transition.